All Leaders, Uncategorized, What type of leader are you? 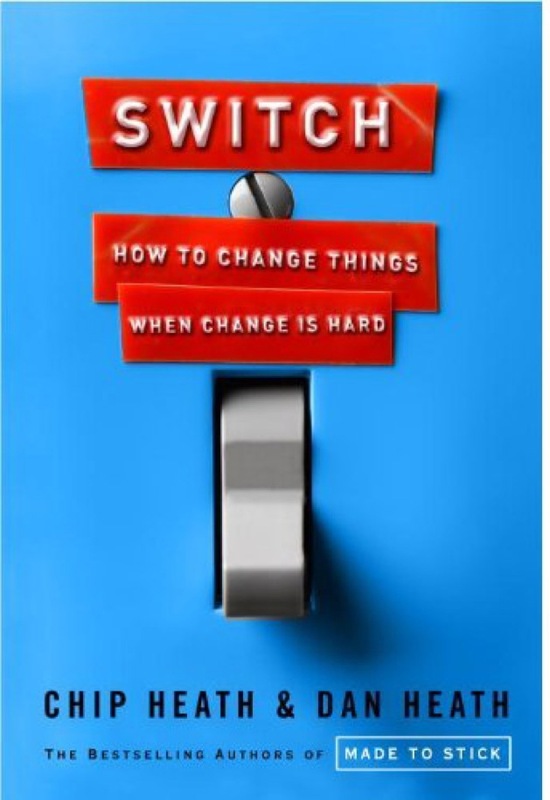 Chip and Dan Heaths excellent ‘Made to Stick’ has already been reviewed here, now their next major book, ‘Switch, How to Change Things When Change is Hard’ is a standout read in the ever growing canon of change management books. Drawing from a wide array of research in psychology and change management, as well as the work of authors like John Kotter and psychologists like Carol Dweck, the Heath’s draw together a compelling argument around change. In a nutshell, the Heath’s argue that leaders must engage people in change on an intellectual and emotional level, before providing them with concrete steps to move ahead. They use the central metaphor of a rider (intellectual aspect) on an elephant (emotional aspect) having their path shaped for them. If that sounds a little too esoteric or “out there” for a serious discussion of change, don’t worry. It serves to contextualise and simplify the otherwise complex ideas into a simple framework. Without going into too much detail, the Heath’s support their change framework with real life examples drawn from high level research. One example follows the story of Jerry Sternin who improved the health and life expectancy of an entire generation of malnourished Vietnamese children, by asking their mothers to learn from mothers of healthy children. In essence, the Heath’s agree with us, when they let us know that change is complex. However they have created a simple plan for leaders to follow, that embraces the nuances and complexities of change and provides strategies to help us out. As always, the Heath’s books are supported by a range of online materials, to support your journey. Easy to read and profound to digest, the Heath’s have provided us with a new classic in change management.